CONTEMPORARY 3 BEDROOM, 2.5 BATHS LOCATED ON OVERSIZED CUL-DE-SAC LOT WITH WATER AND GOLF COURSE VISTAS. OFFERED FURNISHED, GOLF EQUITY AVAILABLE. SAC LOT OVERLOOKING WATER AND A BEAUTIFUL GOLF COURSE VIEW. AT JUST OVER THIS CONTEMPORARY 3 BR, 2 1/2 BATH HOME IS LOCATED ON AN OVERSIZED CUL-DE- 3,000 SQ FT, THIS DRAMATICALLY OPEN FLOOR PLAN FEATURES A MASTER BEDROOM ALONG THE REAR OF THE HOUSE WITH HIS AND HERS SEPARATE BATHS. TWO GUEST BEDROOM SUITES ARE LOCATED IN THE FRONT OF THE HOUSE. A SEPARATELY DEFINED DINING ROOM AREA OPENS TO A SPACIOUS LIVING ROOM SEPARATED BY A BAR AND OPENING INTO THE FAMILY AREA. THE KITCHEN OPENS TO THE BREAKFAST AREA AS WELL AS FAMILY ROOM. 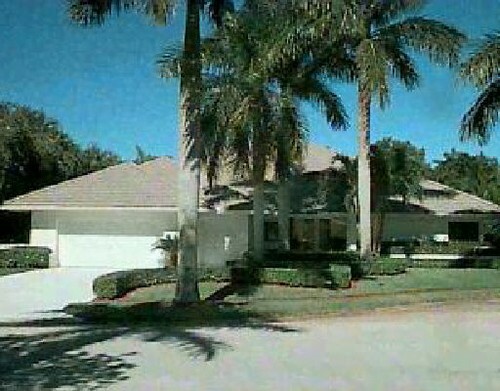 THE HOME IS OFFERED FURNISHED AND IS IN IMMACULATE CONDITION.